You operate a business. We operate a business. Our local company offers quality business to business customer care. We are prepared to administer fast and affordable commercial appliance repair in Canoga Park, California. Most businesses depend on return customers. In order for this to happen, the customer must be treated right. If you can’t serve the customer because of a broken appliance, you may lose customers. Here is the point. We want to help you provide outstanding service. We can do that by fixing your appliance quickly. Let the experts at Mega Appliance Repair Canoga Park help you today. When you need the job done right, choose a certified professional. We are the commercial appliance repair pros in our community. It has taken a lot of hard work to earn our customers trust. We have earned our respect by being reliable and effective. Our company guarantees customer satisfaction. We offer same day repairs at a price that will please your budget. Our certified experts are experienced and skilled. You can depend on us to administer quality appliance repair in Canoga Park. Do you need stove repair? Don’t worry. One of our specialists will hurry to help you. We will bring the needed parts to fix any appliance. Our experts will service any brand, make or model. If you need oven repair, we can fix it fast. We service gas and electric ovens. Are you in need of freezer repair? Our seasoned pros can fix those too. Call our local company for the exceptional service you deserve. We have offered many reasons why you should choose us for commercial appliance service. Our trained techs are very dependable. Our prices are budget-friendly. We administer repair service the same day you call. In addition, our technicians are friendly, honest, and helpful. 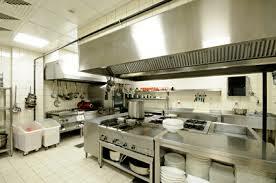 Our crew is devoted to servicing commercial kitchen appliances. Turn to our pros for outstanding Canoga Park commercial appliance repair service. You want the best for your business. We want to provide it. Give us a call today.